Other Non Car Related Items for Sale If it does not relate to a car and your looking at selling it, this is the place! Note: ALL transactions in these forums are done at your own risk. FordForums Australia Inc. does NOT take responsibility for any aspect of any item or transaction that may take place via the site. 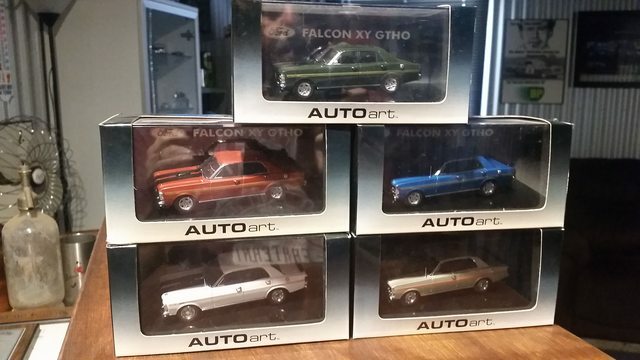 XY GTHO models in as new condition. Outside of boxes a little dusty from being in storage. All have their certificate of authenticity. $60 each inc postage anywhere in Australia or buy all 5 for $250 inc postage.